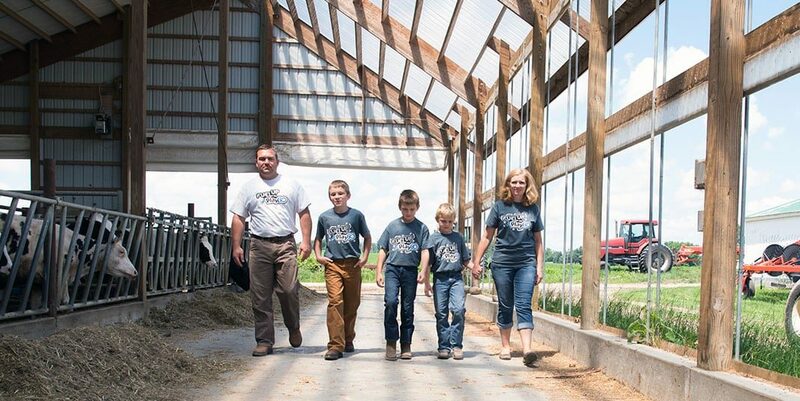 Brad and Tonia were both raised on dairy farms and know that caring for animals is in their blood. Today their family milks 200 cows on their dairy farm. 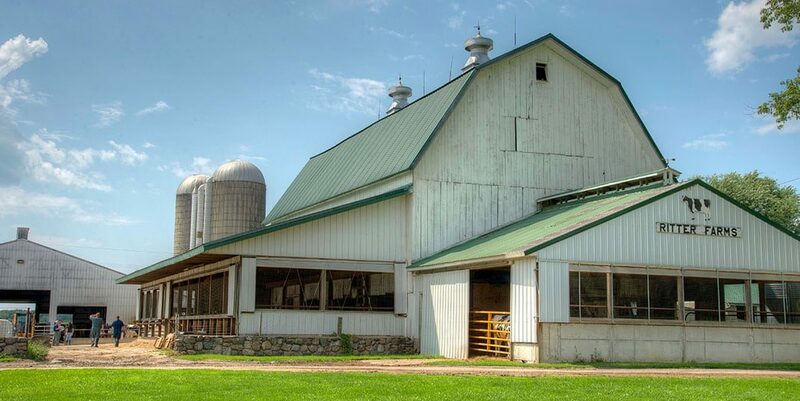 They grow corn, soybeans, and hay on 700 acres. These crops are harvested each fall to feed their cows for the next year. Every day they create a meal that’s balanced to meet all the nutrition needs of their cows. They pay close attention to every detail in caring for their cows. 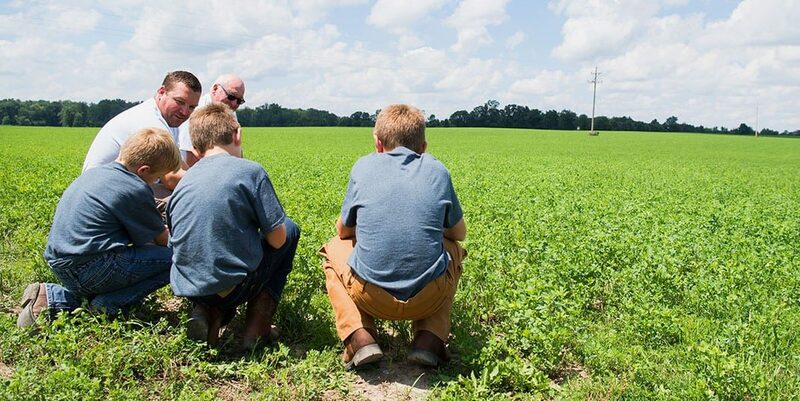 The couple has three young sons who help with farm work as it fits into their schedules with school and sports. 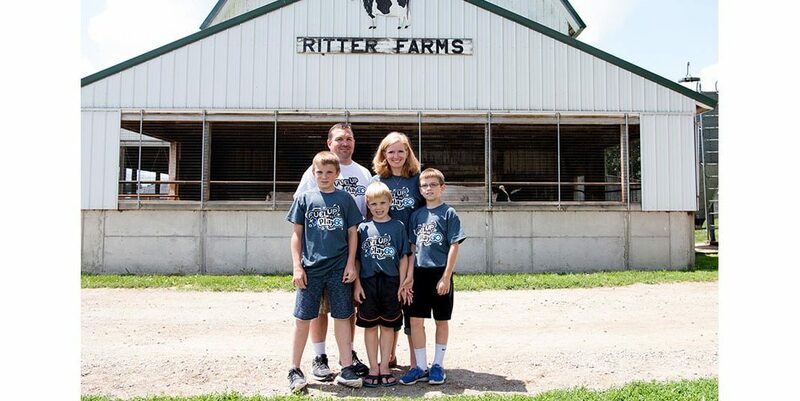 The Ritter family takes pride in raising the animals that provide safe, wholesome milk. 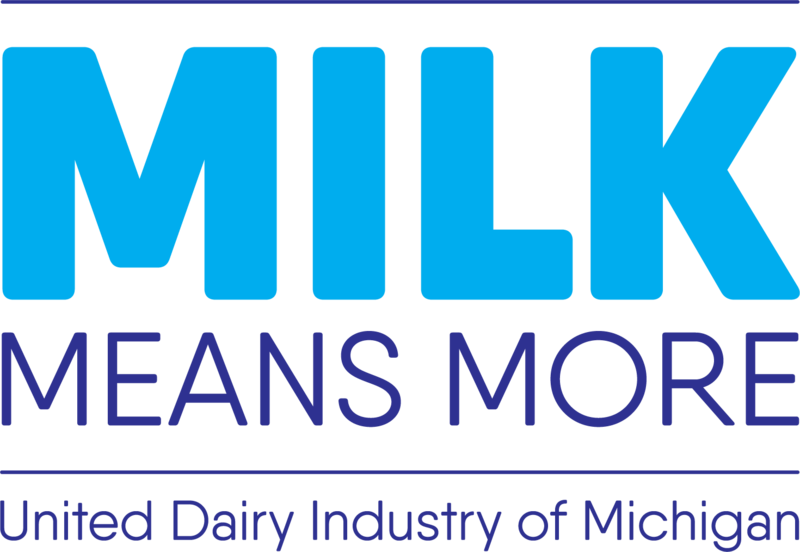 They also take pride in knowing that milk feeds families like theirs across the state. 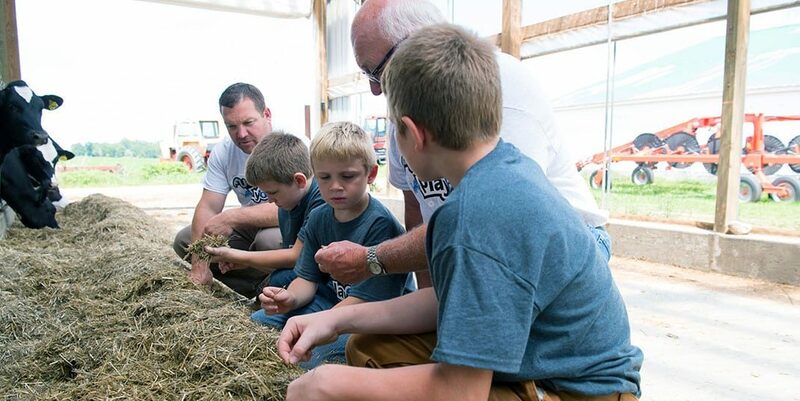 Each year the family opens their farm to tours from local schools, health professionals, and even a national athlete – they recently hosted a Detroit Lions player and the team mascot!